Flat puris topped with potatoes, onions, tomatoes and various chutneys topped with Bengal gram flour Vermicelli. 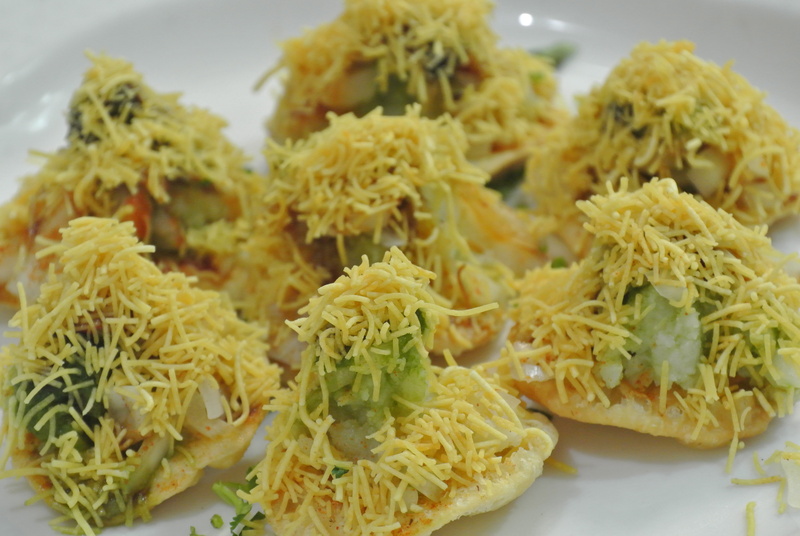 This popular street food dish in Mumbai is a sort of crunchy canape which can light up an evening. They are tangy, crisp and tongue tickling.